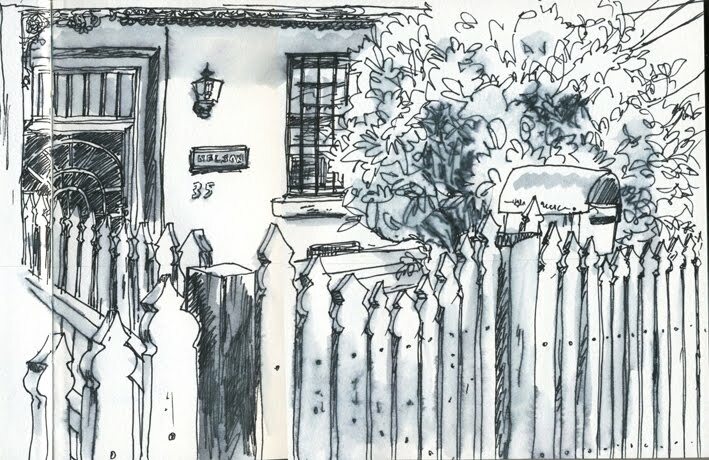 When Liz asked me to contribute to Urban Sketchers Sydney I decided to narrow my subject matter down to where I live. 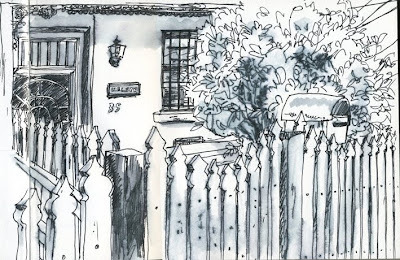 It's always been a colourful suburb with a huge cross-section of nationalities, sub-cultures etc. It is ALWAYS evolving. Plus it makes it easier to fit a couple of drawings into my daily routine of buying groceries and going for walks. If you would like to see all the double pages in full [only the text entries are missing here] click on my name in the contributors list. Cheers!